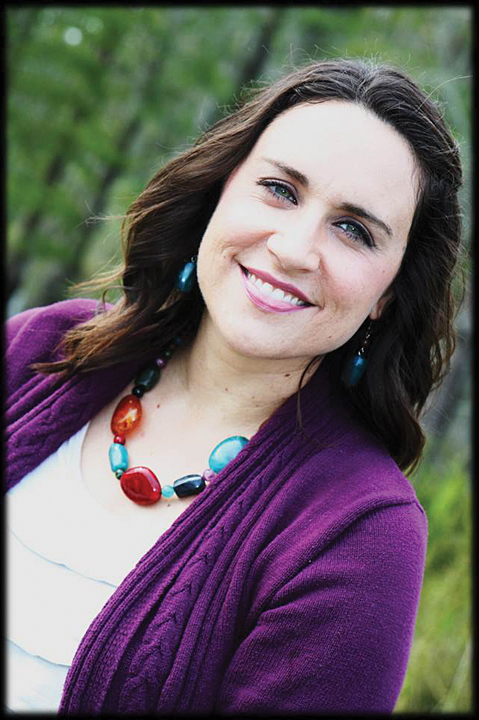 Audra Jennings: Krista McGee talks about her new dystopian release, Anomaly! Krista McGee talks about her new dystopian release, Anomaly! 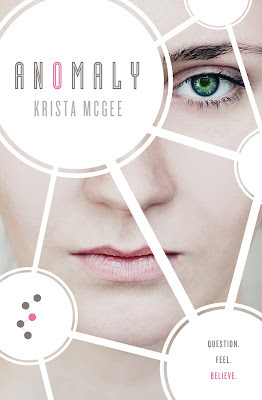 After the interview with Krista McGee about her new release, Anomaly, find out how you can enter to win an iPad Mini! Have you ever felt like you were different from everyone else? Were you embarrassed by these differences and tried to hide them? In Krista McGee’s latest novel, Anomaly (Thomas Nelson / July 9, 2013 / ISBN: 978-1401688721 / $9.99), Thalli must hide who she really is or face death. Follow Thalli as she searches for truth and purpose in her controlling world in the first book in this trilogy for young adults. McGee approaches the popular dystopian genre from a Christian worldview to challenge readers to question what is going on around them and find answers from the Designer — God. Q: Your earlier books are modern adaptions of the biblical stories of Esther, Rebekah and Ruth. Where did you find your inspiration for Anomaly? While this novel isn't based on a particular biblical character, there are shades of Noah, Moses and David in here. My inspiration, though, is probably a combination of a couple of my favorite classic dystopian books: Brave New World and 1984. I've always read those works thinking, "What if this kind of story were told from a distinctly Christian worldview?" My ideas for this story stemmed from the answer to that question. Q: Thalli knows her curiosity and emotions make her unique. What can teens learn from Thalli about their differences? Thalli doesn't feel like she fits in anywhere. I think all of us — young and old(er) — can identify with that feeling. My prayer is that, as my readers get to know Thalli, they see her differences as making her special, and through that, they see their differences make them special, as well. Q: How did your passion for writing teen fiction develop? I have worked with teens for more than a decade, as a youth leader and as a high school English teacher. My desire is to see the young people I work with understand how much God loves them and to love Him wholeheartedly in return. My writing is an extension of that ministry and that desire. Q: What lessons do you hope readers take away from Anomaly? I want my readers to know that God is more powerful than any government, any idea, any disaster. I want them to see that every individual is fearfully and wonderfully made. Q: Without giving away too much, what else can you tell us about the Designer? He is the great I AM. In this novel, world forces have done all they can to make Him disappear. But no force on earth is more powerful than Him. Q: How has being a teacher impacted the way you approach your novels? Because I have the privilege of spending my days with some of the most amazing teens on the planet, I have learned that life as a teenager today is amazing, difficult and overwhelming. Teens have so much expected of them, so many pressures thrust on them. Knowing this informs my characters and my plots. Q: As Thalli learns more about herself and the world, she questions if there is more to life. Do you think it’s OK for teens to question God and why he has made them unique? I have a son named Thomas, and the reason we chose that name was because of a Bible study lesson I heard while pregnant with him. Our teacher pointed out that when the apostle Thomas questioned Jesus, Jesus could have responded with anger or frustration, a "Seriously, dude? I just rose from the dead and am standing in front of you, and you want to see my hands??" But He didn't say that. He simply held out his hands so Thomas could see and believe. Jesus recognized His followers will doubt, will question — even when proof of His existence is so obvious — and he responds to that doubt with grace and love. I love that our Savior loves us like that! I love that we can ask Him tough questions and find that He responds in ways that make our weak faith stronger. Q: How does Anomaly compare to popular teen series like The Hunger Games and Divergent? Will readers drawn to those books enjoy Thalli’s adventure, too? Definitely! There are several similarities between those books and Anomaly — a world that is radically different than ours, a government that tries to suppress its people and a girl who stands out from everyone else. Like those, there is also romance and adventure and quite a few surprises, as well. Q: Are there special connections from Thalli’s pursuit for a greater purpose for her abilities and our different roles in the Church? Christians are called the body of Christ, and the body is made up of different parts — all necessary for a healthy body to function. The rulers of Thalli's world reject such a notion, choosing to believe instead that sameness is best for mankind. But Thalli is different — an anomaly. And we find, through her journey, that differences really are best and that God's design is perfect. Q: Will Anomaly be part of a new series? What are you working on next? Yes, this is the first in a trilogy of books about Thalli's journey and her world. The next book will be released in February 2014, and the final book will release in August 2014. Krista McGee is celebrating the release of Anomaly, the first book in her new YA dystopian series, with a second iPad Mini Giveaway! Enter today by clicking the button above. But hurry, the giveaway ends on August 11th. Winner will be announced at Krista's website on August 12th. Not on Facebook? Enter HERE!